The of Nigeria (NOUN) has appointed retired Brigadier General Sani Usman as faculty member of its Business School. Usman voluntarily bowed out of the as its Director of Public relations on Thursday, February 7, after more than 35 years of meritorious service. 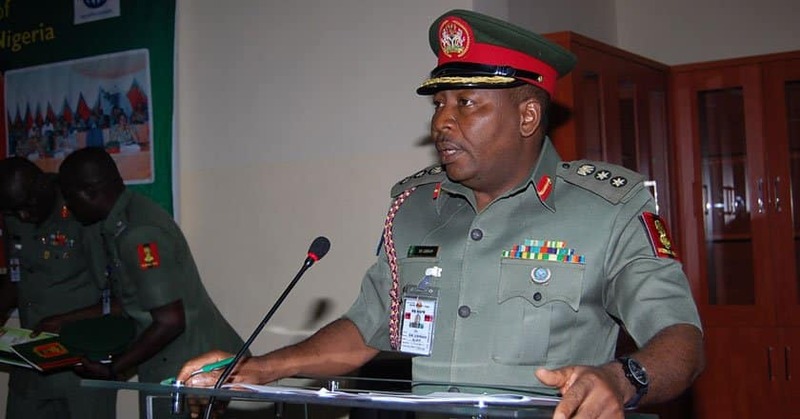 A statement issued by the Coordinator of NOUN Business School, Prof. Samaila Mande, on Tuesday, February 12, and made available to the News Agency of Nigeria (NAN), said the former army spokesman was appointed because of wealth of experience. Usman is a graduate of , where he obtained a Bachelor of Arts degree in Mass Communication and also has a Masters degree in Media, Peace and Conflicts Studies. Meanwhile, Legit.ng previously reported that December 7, assented to the National Open University Amendment Act. Legit.ng gathered that the Act was sponsored to allow the institution to operate as all other universities in the country. Also, following the decision of the president to assent to the bill, graduates of the NOUN can now participate in the mandatory National Youth Service Corps (NYSC) and the Nigerian Law School. A senior special assistant to the president on National Assembly matter, Senator Ita Enang, said the assent of the President while addressing State House reporters in Abuja.